Maxearn also serves Hong Kong business parties who are interested in sourcing ingredients and products directly from Korea. We provide consulting services for our clients, promoting and bringing new products from Korea into Hong Kong market. Maxearn was among the first one to bring Korean Traditional Tea to Hong Kong with its own label – Lee Fa. 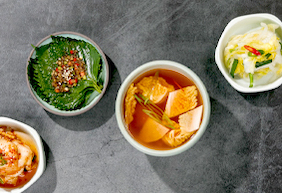 Under our Lee Fa label, it brings up a variety of Korean products to the Hong Kong market such as Korean side dishes, Korean vermicelli, kimchi, and organic soft tofu etc. Our clients include major supermarkets, local chain stores, department stores, major F&B operators, hotels, amusement parks in Hong Kong.